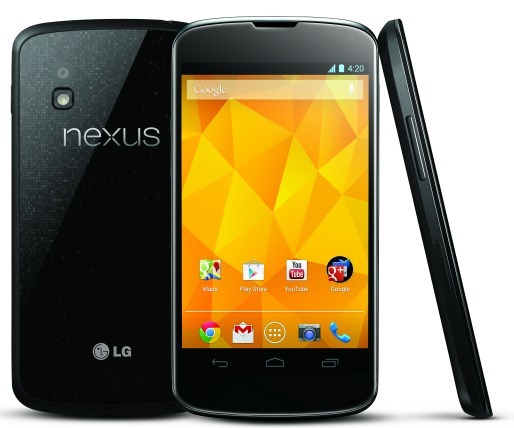 LG & Google together teamed up and announced the next generation Nexus device called LG Nexus 4. LG Nexus 4 has 1.5 GHz Quad-Core Krait Quad-Core Processor, 4.7-inch True HD IPS Plus display with 1280 x 768 resolution, 2 GB RAM, 8 MP Rear and 1.3 MP HD front cameras. Nexus 4 comes with 8 GB and 16 GB memory. The display comes with stunning clarity and crispness. Gently curved glass edges allow your finger to slide smoothly on and off the 320ppi screen, while cutting edge display technology means you feel like you’re touching every pixel, protected by scratch resistant Corning Gorilla Glass 2. As expected Nexus 4 runs on Android 4.2 which brings other great goodies like Gesture Typing, which lets you glide your finger over the letters you want to type on the keyboard—it makes typing fast, fun and a whole lot simpler. Android 4.2 also adds support for wireless display so you can wirelessly watch movies, YouTube videos and play games right on your Miracast-compatible HDTV. Other than this Nexus 4 comes with Wireless charging and NFC which really makes the phone different from others. Nexus 4 is sold unlocked and is GSM/HSPA+ compatible and it’ll be available purchase in both an 8GB version and a 16GB version on Google Play starting November 13 in the US, UK, Canada, Germany, France, Spain and Australia. Offline availability in Europe, Central/South Americas, Asia, CIS and the Middle East will begin from the end of November. Wireless charging feature now becoming common.